materials, handling high volume runs, co-extrusions, and secondary fabrication. All extrusions are available in custom diameters, lengths and thicknesses. Petro Packaging can create your custom extrusion from a hand sketch, cad drawing or existing shape or prototype. Our engineers can also design a product to satisfy customer specific requirements and our on-site tool and die makers will facilitate this precept from concept to completion. Petro’s team will work with you to understand your application, assist with design and material selection, and identify the necessary parameters to make your custom extrusion a success. 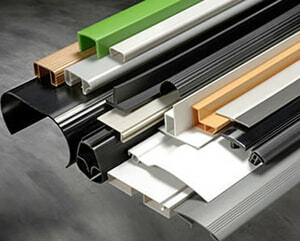 Petro Packaging has over 60 years experience as a custom plastic extrusions manufacturer. Our goal is to make sure we meet customers’ expectations with the right balance of cost and performance.